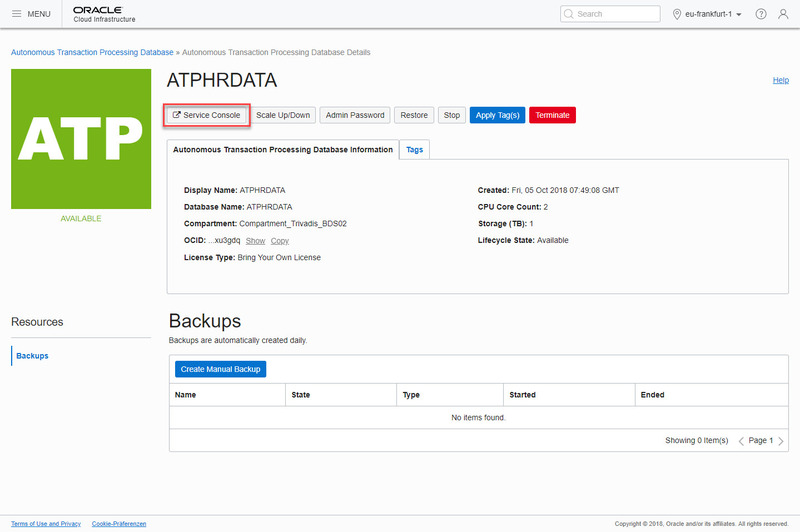 In this blog post serie which has three parts, I want to describe how data will be uploaded from an on-premises environment into the Oracle Autonomous Transaction Processing database Oracle Data Pump. Autonomous Transaction Processing is designed to support all standard business applications and deliver scalable query performance. Autonomous Transaction Processing provides all of the performance of the marketleading Oracle Database in an environment that is tuned and optimized for transaction processing workloads. As a service Autonomous Transaction Processing does not require database administration. With Autonomous Transaction Processing you do not need to configure or manage any hardware, or install any software. Autonomous Transaction Processing handles creating the database, backing up the database, patching and upgrading the database, and growing or shrinking the database. 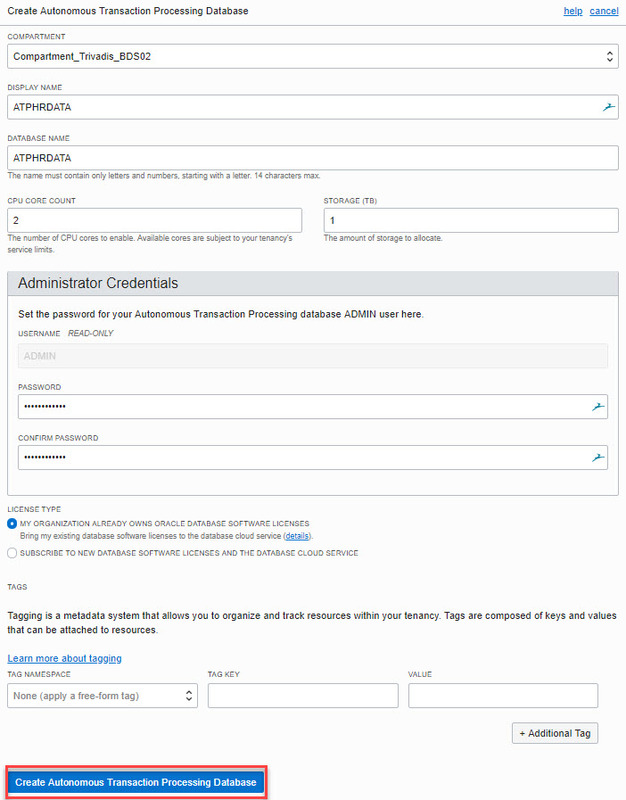 Login into Oracle Cloud Infrastructure in ATP menu and click on the “Create Autonomous Transaction Processing Database” button. Set DISPLAY NAME, DATABASE NAME, CPU CORE COUNT, STORAGE and set the Administrator Credentials. These credentials are used later to manage the Autonomous Transaction Processing database. Verify your license situation and click on the “Create Autonomous Transaction Processing Database” button. My ATP database is called ATPHRDATA, it contains later data from schema HR. Some minutes later, the database has state AVAILABLE and is ready to use. Click on the ATP database name link or the “three bullets” on the right side to view the details. 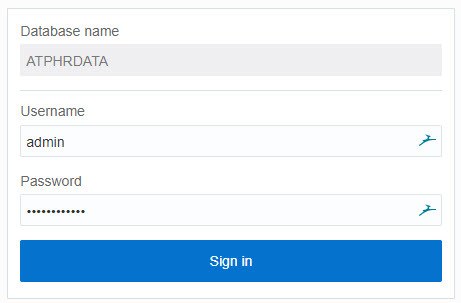 Enter admin as username the password from the creation step. Click on “Sign In”. This is the ATP main dashboard. Here you can manage the ATP database. Click on the “Adminstration” link. Download the login credentials by click on the “Download Client Credentials” link . ATP uses a SSL encrypted connection. The provided zip file contains all required files and configurations to connect a client by OCI, ODBC or JDBC with the Autonomous Transaction Processing Database. You have to protect this file to prevent unauthorized database access by a password. Content of the extracted “Client Credentials” package, it will used later for the connection configuration and verification. This file can also be used to configure a connection to the database with the Oracle SQL Developer 17.4 or later. Download the newest Oracle Instant Client by click on the “Download Oracle Instant Client”. Older clients than 12.2 do not support ATP connections. 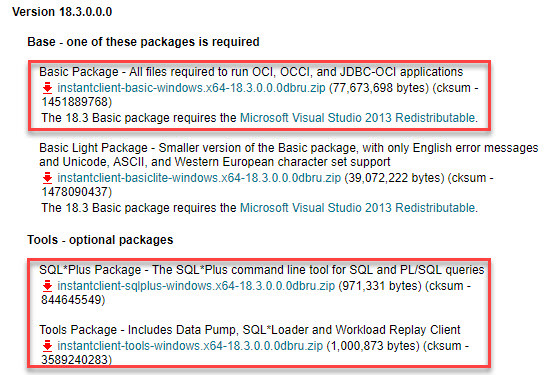 In my example, I use the 18c “Instant Client Downloads for Microsoft Windows (x64)” and the additional package with the SQL*Plus and Oracle Data Pump components. If the path is not set correctly, you will get an ORA-28759: failure to open file error. SQL*Plus Connection Test with the user admin – the TNS alias is from the provided tnsnames.ora. Now the autonomous database is ready to use, the client connection works fine. The next steps are to export the on-premises data and import them into the Autonomous Transaction Processing Database.